On a daily basis, HR and payroll departments face a number of challenges that are actually quite familiar to IT professionals. Like many areas of the modern business, HR and payroll are trying to transform the way they work to increase efficiency, respond to the needs of modern employees, and help the business as a whole run more smoothly. 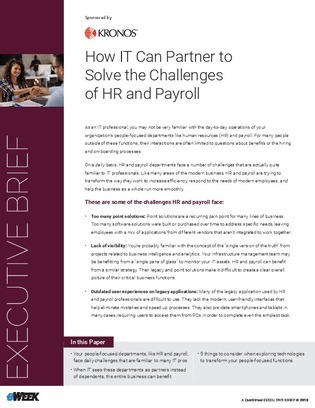 Download this white paper to uncover the thread that ties IT, HR, and payroll together, and discover how a happy union between the 3 can help ensure a successful digital transformation.